We are confident that [the Abyei Arbitration Tribunal’s] decision will be grounded on the facts and the law, and will result in the settlement of the dispute that currently divides the parties. The SPLM/A wants to affirm to this Tribunal its commitment to implement your decision and hopes that the [Government of Sudan] will also honor its commitment to implement your final award. The countdown has begun in Sudan. This week’s legal decision on the boundaries of Abyei—an oil-rich, contested region along the disputed North-South border within Sudan—is the first major test of recent commitments made in Washington by the two parties to Sudan’s Comprehensive Peace Agreement, or CPA. Although senior representatives of the ruling National Congress Party, or NCP, and the Sudan People’s Liberation Movement, or SPLM, have committed themselves to accept the ruling, how each side responds is a crucial litmus test of each side’s will to implement the CPA, and, by extension, a barometer for the efficacy of the Obama administration’s engagement on Sudan. Abyei is the ancestral land of the Ngok Dinka and also hosts the grazing and seasonal migrations of the Misseriya and other nomadic whose livelihoods depend on the area’s rich resources. The 2005 CPA created the Abyei Boundary Commission, which issued a “final and binding” ruling on Abyei’s boundary in July of that year. The NCP rejected the ruling, and a three-year stalemate ensued. 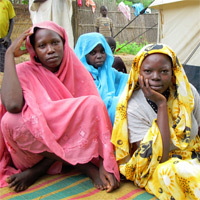 The dispute erupted into violence in May 2008, when Sudanese armed forces razed Abyei town and forcibly displaced an estimated 60,000 people—the majority of the town’s population. As is too often the case in Sudan, international diplomats rushed to broker a solution after the damage was done. Following weeks of negotiations, representatives of the NCP and SPLM agreed to refer the boundary dispute to international arbitration (See the Annex for a detailed explanation of this process).The arbitrators’ decision should ultimately determine the final boundary. It is also a real chance for the people of Abyei to finally receive the “peace dividends” promised to them in the CPA in 2005, and to begin consolidating the fragile peace that has been put on hold by the battle over the CPA’s Abyei Protocol. Last month, the United States hosted a major conference on the CPA that shone much needed attention on the agreement’s implementation. The State Department has also issued a strong statement calling on both sides to prepare for implementation of the Tribunal’s ruling. These are positive steps. However, this week’s ruling on Abyei will occur against a backdrop of increasingly hostile relations between the parties over a number of unimplemented CPA provisions, including stalled preparations for the general elections in April 2010 and the referendum on southern self-determination scheduled for 2011. Abyei is potentially an insurmountable roadblock: If the parties do notaccept the tribunal’s ruling, CPA implementation will be effectively stalled. The CPA’s “guarantors”—those states and organizations that witnessed the signing of the CPA and agreed to support its implementation—must not tolerate intransigence from either party. The NCP’s reckless rejection of the July 2005 ruling was the cause of the current impasse. The potential that the ruling could provoke violence in Abyei is very real. The international community—in particular the United States, which played a critical role in negotiating the Abyei Protocol—has a responsibility to ensure that the ruling is respected and that the residents of Abyei and the affected surrounding areas are protected from violence. A concerted multilateral effort in the coming weeks and months that combines increased short-term security provisions with diplomacy and international aid to reach a durable political solution to the Abyei dispute is necessary to defuse one of Sudan’s most dangerous flashpoints and prevent a return to all out war. If the Abyei dispute relapses into stalemate and violence, the already fragile CPA will be pushed to the breaking point and peace and stability throughout Sudan, including Darfur, will be ever more elusive. The history of the Abyei region is complex, but an important theme is its tradition as a “bridge” at the crossroads of Northern and Southern Sudan as well as a critical grazing area to both Misseriya Arabs and Ngok Dinka. The Misseriya and Ngok coexisted in the Abyei area for centuries, with the Misseriya traversing through portions of the Ngok grazing areas during their seasonal migrations as well as a number of other groups, such as the Twich Dinka. The British colonial decision in 1905 to transfer the nine Ngok chiefdoms to Kordofan—allegedly to address slave raiding and place victim and perpetrators under the same provincial administration—has had extended and unintended consequences. The Misseriya and Ngok developed hardened “Northern” and “Southern” identities respectively during Sudan’s North-South civil wars, which in turn raised the stakes for the key questions today: What are Abyei’s boundaries? Who is a “resident”? And, ultimately, is the territory part of the North or the South? This area—rich in grasslands, forests, swamps, and river systems—also sits atop significant oil reserves which both the Northern and Southern governments seek to control. The ongoing Abyei border dispute will have significant repercussions for long-term wealth-sharing arrangements and the sustainable livelihood of all groups that have traditionally come to depend on its lands and resources. Resolution of the key questions at stake in the Abyei debate will likely continue to plague the Sudanese parties in the remaining months of the CPA interim period, but acceptance of the tribunal’s ruling is a crucial step in getting these discussions on track in order to secure a peaceful and credible 2011 referendum and a stable transition thereafter no matter the outcome. As Enough noted in a 2008 strategy paper on Abyei, the history of the region in the context of the two North-South civil wars also highlights the Sudanese government’s consistent pattern—across several past regimes—not only of signing agreements with Southern adversaries and then failing to implement them but also of trying to manufacture crises on issues which earlier had been “resolved” at the negotiating table. One example is a referendum promised to the population of Abyei in the 1972 Addis Ababa agreement that ended the first North-South war. Abyei residents were to have voted in a referendum whether to remain in the North or be integrated into the territory of Southern Sudan; this referendum never occurred. The CPA has now guaranteed the residents of Abyei the right to vote in a similar referendum in 2011 at the same time Southern Sudanese will go to the polls to vote in their own referendum. A vote to join southern Sudan in 2011 potentially places Abyei within the borders of an independent South. Abyei is an issue fraught with intense emotion for the NCP and the SPLM. Ultimate control over coveted oil reserves certainly plays a critical role in this dispute. However, the issue is also linked to the NCP’s repeated promises to Misseriya groups and distinct party constituencies that it would deliver Abyei to the North and secure the permanent inclusion of its lands and resources within a united Arab Sudan. Likewise, many senior SPLM cadres are Ngok Dinka from the region. The Ngok Dinka fought along with the SPLA for their right to see their lands and people rejoined with the South. It is a mistake to view Abyei as merely a fight over oil, as a purely Misseriya-Ngok Dinka conflict, or a project of interest only to Ngok Dinka in the SPLM or the Government of Southern Sudan leadership. The dispute over Abyei is also directly linked to the future of Sudan as a unified or separate state, to the possibility of a stable North-South border in 2011, and to the imperative of a central government in Sudan that does not exploit its peripheral populations. Most importantly, the people of Abyei and its surrounding areas deserve reconciliation and peace—they suffered greatly during Sudan’s civil war and have seen few of the promised “peace dividends.” It is in this context that Abyei’s future is tied so closely to the future of all of Sudan. During recent discussions in Washington, D.C., the parties reaffirmed their commitment to implement the tribunal’s award and agreed to several key steps: to demarcate the boundaries as per the decision, to disseminate information about the award to local communities, to ensure that the United Nations peacekeeping force in Sudan, or UNMIS, is at full capacity to fulfill its mandate, and to take measures to enhance security, prevent violence, consolidate peace even through the creation of local conflict mitigation processes. But regardless of these recent commitments, the fundamental calculus of the NCP and the SPLM remains the same: Both sides seek to strengthen their positions prior to the 2011 self-determination referendum without forcing the premature collapse of the CPA. The fear, therefore, is that the tribunal’s decision could spark a reaction by one or both of the parties, their proxies, or other spoilers acting with or without the parties’ consent. Any such spark—even if not intended to provoke a return to full-scale civil war—could nonetheless deepen mutual mistrust and increase the possibility of renewed conflict before 2011. The warning signs are clear. Recent military confrontations between the Sudanese army and the southern army, or SPLA—including the heavy fighting in Malakal earlier this year—demonstrate clearly that both sides are on a hair trigger. Moreover, the NCP’s actions related to the Abyei Protocol, from its rejection of the ABC’s report in 2005 to its arguments before the tribunal in April 2009, suggest that if the tribunal’s ruling does not meet with its interests it could reject the ruling outright. Sudan’s ruling party could also follow the example of the government in neighboring Ethiopia, which accepted a boundary commission’s “final and binding” ruling on its border with Eritrea but has since doggedly refused implementation. Accepting an agreement and then slow-rolling its implementation is a tried and true NCP tactic. The NCP may try to keep the issue of Abyei open to gain concessions from international negotiators on other fronts. If the international community does not keep the pressure on, building peace in Abyei could be paralyzed at precisely the time when all parties and the international community need to be focused on the CPA’s other key benchmarks—particularly elections, popular consultations in Southern Kordofan and Blue Nile, and the 2011 self-determination referendum. UNMIS should immediately increase support for the existing Abyei police and Joint Integrated Units, or JIUs—military units created by the CPA and comprised of both regular Sudanese army and the SPLA—in order to increase their mobility and overall capacity to keep the peace throughout Abyei. UNMIS should also deploy monitors to Sudanese army and SPLA compounds outside of Abyei to reduce the likelihood of minor provocations that could lead to larger outbreaks of violence between these forces. Recent reports indicate that some Sudanese army units that are not legitimately part of the JIUs are currently within the interim Abyei Roadmap boundaries, putting them in clear violation of the agreement. The international community should back UNMIS in urging the parties to recommit to the security provisions of the Abyei Roadmap which are explicit in authorizing only UNMIS forces, the Abyei JIU Battalion and the Abyei Police to be present within Abyei’s interim boundaries. UNMIS should call for the removal of any other forces—local militias, “oil police,” or other armed groups—by the Parties prior to the ruling. In anticipation of further instability in Abyei, UNMIS should deploy additional battalions to the region and establish a greater civilian presence on the ground not only through the elections in April 2010, but through the 2011 referenda. Abyei will continue to be a flashpoint, and UNMIS’ presence will be more effective if it establishes longer-term programs and mechanisms to mitigate future violence. UNMIS should consider setting up a demilitarized buffer zone in Abyei to separate the two militaries and mitigate future clashes. Based on its role as a full-time on-the-ground presence in Sudan, UNMIS can signal to the rest of the international community that the tribunal’s ruling should be viewed not just as a flashpoint for war but as a potential chance for peace if the ruling is accepted by the parties and ifthe CPA’s guarantors opt to infuse significantly more programs, personnel, and resources to Abyei in the immediate aftermath of the award. Abyei could become a potential model for development, peace, and reconciliation that could spread along the other North-South border areas, but only if it receives sustained attention and resources from the Sudanese parties, UNMIS, and the rest of the international community. General Scott Gration, the U.S. special envoy for Sudan, and Ashraf Qazi, the head of UNMIS, have announced their intent to travel to Abyei for the announcement of the ruling. These commitments are commendable, and all guarantors to the CPA, as well as other stakeholders, should follow their lead. High-level presence should be constant until real commitments and activities toward implementation of the Abyei Protocol are under way, and diplomats from key CPA guarantor nations should be detailed to the area to observe and report on the progress the parties have made on the border demarcation. Misinformation and lack of information surrounding the release of the initial ABC report—particularly by the NCP within Misseriya communities—helped to fuel spoilers and secure support for the NCP’s decision not to implement the ABC’s findings in 2005. In the Abyei Arbitration Agreement, the parties agreed to several provisions to increase transparency. The international community must now work with the parties to establish and implement a strategic communications plan that ensures full dissemination and consistent public education about the tribunal’s decision. This includes both written materials, community meetings, and radio broadcasts in appropriate languages. The international community should work with the parties to establish a clear strategy for demarcation of the border by the joint survey team, as called for the in the ABC report. This should include securing clear commitments and contributions from the NCP and the SPLM and relevant stakeholders, setting fixed deadlines which permit the Sudanese people and international community to hold the parties accountable and monitor progress, and establishing clear penalties for obstruction of the process. The failure to establish clear international penalties for a failure to implement key CPA provisions has been a clear drag on the agreement. The Assessment and Evaluation Commission, or AEC, should conduct a monitoring and fact-finding mission within weeks after the decision of the tribunal is issued in order to report on the progress that the parties are making on implementation and make recommendations for improvements. The AEC report should be delivered to the parties, to the joint survey team, to UNMIS, and to the CPA guarantors. The Abyei Arbitration Tribunal’s decision could resolve the most contentious issue in Abyei: the definition of the region’s borders. However, its implementation is only the first step toward lasting peace. Security will be enhanced in Abyei if the parties commit to initiating development and reconstruction projects to benefit the residents of Abyei as well as all those who seasonally migrate through the Abyei Area and also if the parties deliver the overdue funding due to the Abyei Area Administration so it can provide basic services. (Regardless of the tribunal’s award, the historic grazing rights of the Misseriya and other nomads are protected by the Abyei Protocol and should not be affected by the tribunal’s decision). Additional agreements should include provisions to ensure security in areas of grazing and migration and, as appropriate, may include additional guarantees to clarify and protect the rights of migratory populations (such as certain citizenship rights in the event of secession). A concerted effort must be made to ensure legitimate representative leaders of the traditional peoples of the area participate in the development of these agreements so that they are not merely the product of political negotiations in the capitals. The international community, with leadership from the United States, has begun a welcome renewed diplomatic push to secure renewed commitment from the SPLM and NCP on CPA implementation. Focusing on Abyei now is the first step in making these commitments real in the lives of ordinary Sudanese, and the upcoming ruling represents an opportunity to promote sustained peace and development in one of the most tense areas along the disputed border. However, Abyei will continue to be a flashpoint, and sustained attention, including negotiations between the parties on long-term wealth-sharing arrangements related to Abyei’s oil reserves, are the only way to mitigate the risk that Abyei will unravel the North-South peace. Why was the Abyei Arbitration Tribunal established and what does it do? During the negotiations over the CPA’s Abyei Protocol, which was signed in May 2004, the Government of Sudan and the SPLM agreed to the establishment of the Abyei Boundary Commission, or ABC. The ABC is a group of international experts, representatives of the local communities, and the local Abyei administration mandated by the CPA’s Abyei Protocol to “define and demarcate the area of the nine Ngok Dinka chiefdoms transferred to Kordofan in 1905” (a province which is now divided into two states, Northern Kordofan and Southern Kordofan). The five international “impartial experts” on the ABC were selected by the Intergovernmental Authority on Development, or IGAD, the United States, and the United Kingdom, and approved by the Sudanese parties. The official complaint of the Government of Sudan is that the ABC “exceeded its mandate.” The Sudanese government continued to reject the ABC report for more than two and a half years, and in doing so denied the area of governance, its share of oil revenue originating from the area, the safe and dignified return of the displaced, and the security and development that others around Sudan had begun to experience, albeit tentatively (and, of course, excluding Darfur). The lack of international attention to the implementation of the Abyei Protocol obstructed any resolution to the standstill, and virtually guaranteed the continued militarization of the area. Finally, after the large-scale fighting between the Sudanese army and SPLA forces and destruction of Abyei town in May 2008, the NCP and the SPLM signed the Abyei Roadmap on June 8, which provided, among other things, for security arrangements in Abyei, the establishment of the special administration, the return of internally displaced persons, and a final and binding settlement of the dispute over the ABC experts’ report by an international arbitration tribunal. Following the signing of the roadmap, the NCP and the SPLM penned the Abyei Arbitration Agreement that established the Abyei Arbitration Tribunal. The tribunal is comprised of five well-known and respected jurists who were chosen by the parties themselves. Each jurist signed declarations of independence and impartiality. It is a temporary, ad hoc decision-making body based on an agreement between the Sudanese government and the SPLM, and its rules, procedures, and mandates were entirely defined by these two parties. The tribunal is markedly different from permanent international tribunals and courts such as the International Criminal Court, or ICC, in scope, statute, and composition, and it would thus be difficult for the Government of Sudan to credibly criticize the Abyei Tribunal in the same manner in which it has attacked the ICC. What is the Permanent Court of Arbitration and what is its mandate? The Permanent Court of Arbitration, or PCA, is located in The Hague. It is not a “court” per se, but is the world’s oldest and best-known arbitral dispute settlement organization. Sudan has been a member of the PCA for over four decades. In accordance with the Abyei Arbitration Agreement, the Government of Sudan (in practice the NCP) and the SPLM agreed to have the PCA act as the “impartial registry” for the Abyei arbitration process and provide to administrative and technical support to the parties and the Abyei Arbitration Tribunal. What is the mandate of the Abyei Arbitration Tribunal? It is the tribunal and not the PCA that will issue a decision this week. That same decision will be copied to all witnesses to the CPA and to the chairman of the Assessment and Evaluation Commission, or AEC, and made publicly available on the same day. The core question that the PCA’s Abyei Tribunal will answer with its ruling is whether or not the ABC exceeded its mandate to define and demarcate the areas of the Nine Ngok Dinka chiefdoms transferred to Kordofan in 1905.If the tribunal finds that there was no excess, the parties’ agreement requires them to the “full and immediate implementation of the ABC report.” If an excess is found, it will proceed to define and delimit the boundaries of the Abyei area based on the submission of the two parties during the arbitration process. The parties designed the arbitration process and the tribunal’s mandate so that it will result in a decision that determines the final boundaries of the Abyei area. The process also explicitly affirms that the decision will not in any way affect the traditional grazing rights of the Misseriya and other nomads that are already protected and guaranteed by the Abyei Protocol. Regardless of the outcome, these rights are guaranteed. The decision will also not define who is a “resident” of Abyei for purposes of the voter eligibility in the Abyei Referendum of 2011—it will only settle what the boundaries of Abyei are on a map. While the decision of the Abyei Tribunal is meant to be final and binding, so too were all of the provisions related to CPA’s Abyei Protocol, as well as the original findings of the Abyei Boundaries Commission itself. Without the parties and the international communities’ strongest commitment to guarantee that the arbitral award is implemented, the tribunal’s decision will mean no more than the unimplemented provisions of the protocol and ABC report. The parties to the Abyei Protocol and the arbitration decision are technically the SPLM/A and the Government of Sudan. However, as the Government of Sudan is now known as the “Government of National Unity,” or GoNU, and dominated by the NCP, Enough will refer to the parties in this paper as the SPLM and NCP. For more information on Abyei, see Enough’s three reports on Abyei: “Abyei: Sudan’s ‘Kashmir’” (January 2008), “Sounding the Alarm on Abyei” (April 2008), and “Abyei Aflame” (May 2008). Also see International Crisis Group, “Sudan: Breaking the Abyei Deadlock,” October 12, 2007. For more on the CPA’s Abyei Protocol, see also Douglas H. Johnson, “Why Abyei Matters: The Breaking Point of Sudan’s Comprehensive Peace Agreement?” African Affairs (, 2008);, and Douglas H. Johnson, “The Abyei Protocol demystified” Sudan Tribune, December 11, 2007. The text of the Abyei Protocol is found in “Chapter IV: The Resolution of the Abyei Conflict” of the Comprehensive Peace Agreement. During the abortive January 2003 session on the Three Areas, research was presented indicating that the Ngok Dinka had been part of Bahr el-Ghazal Province until transferred to Kordofan in 1905, and this date was incorporated into the later American draft protocol, specifically defining Abyei as “the area of the nine Ngok Dinka Chiefdoms transferred to Kordofan in 1905.” The exact definition of that area was left to a Boundaries Commission which was to “define and demarcate” the area following the signing of the CPA.The year 1905 therefore became a date of significance to both parties: to the SPLM because it validated their claim that Abyei was once part of the South, and to the NCP because they were convinced that the area so transferred was less than the area the SPLM was claiming. To learn more about challenges to the referendum, see Gérard Prunier and Maggie Fick, “Sudan: the Countdown,” Enough Strategy Paper (June 2008). See Prunier and Fick, “Sudan: the Countdown” and Adam O’Brien, “Sudan’s Elections Paradox” Enough Strategy Paper (June 2008). In his response to the ABC report in 2005, Dirdeiry Mohammed Ahmed, the head of the NCP delegation on the Abyei Boundaries Commission (and also the head of the NCP delegation in the Abyei arbitration process), threatened to go back to war if the ABC did not accept the government’s position during the GoS presentation of its case in the first meeting of the ABC. During the April 2009 tribunal hearing in The Hague, SPLM counsel highlighted that when read to their logical conclusion, the NCP’s (technically the government’s) arguments before the tribunal as made during the hearing and in their written briefs basically assert that if the tribunal defined Abyei in the same way as the ABC defined it, the government would see the tribunal as exceeding its mandate as well. Thus, while the NCP has not explicitly said that they would reject the tribunal’s ruling, they have implied that they would not accept a ruling by the tribunal that affirms the ABC’s report. See Abyei Arbitration Hearing Transcripts available at the PCA website, day 1 (April 18) p. 167-68 and day 2 (April 19) p. 52-55. For more on the fallout from the Abyei violence in May 2008, see Roger Winter, “Abyei Aflame: An Update From the Field,” Enough Strategy Paper (May 2008), and the Human Rights Watch report “Abandoning Abyei: Destruction and Displacement” (July 2008). As per the ABC report, at a minimum the team can be comprised of “three professional surveyors: one nominated by the National Government of the Sudan, one nominated by the Government of the Southern Sudan, and one International surveyor nominated by the Intergovernmental Authority on Development, the East African regional organization. The survey team [can] will be assisted by one representative each from the Ngok and Misseriya, and two representatives of the Presidency.” This body should also include a representative of the neighboring states (chosen by IGAD or a member of the AEC) to ensure and an individual to represent other neighboring states as well as an individual to represent the other groups who seasonally migrate through the area. Abyei Boundaries Commission Report, p. 22, paragraph 4. The full text of the ABC report, released in July 2005, is available on the Sudan Open Archive. More information on the Abyei arbitration process, including complete transcripts of the oral hearings and written submissions and press releases from both parties, is available on the PCA website. The Abyei Protocol, which details the mandate of the Abyei Boundaries Commission, is found in “Chapter IV: The Resolution of the Abyei Conflict” of the Comprehensive Peace Agreement. See also Douglas H. Johnson, “Why Abyei Matters: The Breaking Point of Sudan’s Comprehensive Peace Agreement?” African Affairs (2008). President Bashir’s statement made at a ceremony commemorating the 18th anniversary of the Popular Defense Forces in Wad al-Madeni in northern Sudan. See “Sudan president orders paramilitary forces mobilization, rejects Abyei report,” Sudan Tribune, November 18, 2007. The ruling will be made immediately available on the PCA website, www.pca-cpa.org.